You may not have realised that plans for the structure and government of the World Church are already in place! Ministries, organisations and fellowships are networking together like never before, forming major new allegiances, and meeting to formulate the doctrines, structure and leadership of an entirely NEW global church. The denominations of today are seen as obsolete, and UNITY is the key - the unifying force being revival and spiritual manifestations rather than biblical doctrines. For years now, organisations have been gathering in Colorado Springs, Denver and Boulder, Colorado to create a Centre for World Christianity - a Vatican City of the new church if you will. There you will find the World Prayer Centre and many different Christian organisations, (such as AD2000, COR and Promise Keepers) all intent on reaching the world with their unifying vision. Peter Wagner of the Church Growth Movement is totally dedicated to the idea, and heads up a great part of it. For about three years now I have felt that we were watching two remarkable missiological phenomena relating to church growth: (1) A new cutting edge of the extension of the global Christian movement was being installed by God, and (2) The most radical change in the way of doing church since the Protestant Reformation was taking place in many diverse parts of the world. After the outbreak of "revival" in early 1994, Peter Wagner had perceived a new wave of church growth and a new structure for the Church that he labelled "Post Denominationalism". This term was then dropped in January 1996 in favour of "New Apostolic Paradigm". Although at first wary of objections to the use of the word "apostle" in today's Church, Wagner quickly found that, on the contrary, new apostles and prophets were popping up everywhere. It seemed that the new apostle was a de facto part of the new church anyway, so the terminology was very apt. Wagner then sponsored a National Symposium for the emerging World Church in Pasedena in May 1996, incorporating Ed Delph's organisation N.A.T.I.O.N.S. which stood for Networking Apostolic Thrust Internationally Or Nationally. Networking they indeed were, as leaders as diverse as Morris Cerullo, Bill Hamon, Ted Haggard, Roberts Liardon, Bobbye Byerey and Ralph Neighbour (and many, many more) gathered to plan the Church of the twentyfirst century. This Church is based upon new paradigms: the restoration of the Church to a (supposed) Early Church ideal; spiritual gifts and manifestations; and the doctrine of the christianisation of the world before the return of Jesus Christ. Most worryingly, it proposes Church Government ofapostles and prophetsnow being created out of the charismatic leadership of the revival fellowships. Here now is Orrel Steinkamp's overview of Peter Wagner's New Apostolic Reformation. This is advertised as a reformation greater in scale than the reformation of the 1500's. It is suggested that this "new reformation" is something entirely new. Wagner outlines his article with sections such as "new name", "new authority structure", "new ministry focus", "new worship style", "new prayer forms" etc. The centerpiece of this New Apostolic Reformation is the launching of new apostles and prophets. The restoration of modern day apostles and prophets is promoted in the book "The Gift of Apostle" by David Cannistraci. This book was offered to those attending a conference organized by Wagner called "Churches in the New Apostolic Paradigm." Among the list of topics and presenters for the conference was Bill Hamon. (Can we really refer to the Bill Hamon's teaching as new?) Bishop Hamon has been promoting restoration and Manifest Sons of God teaching for decades. The only thing new about this movement seems to be the new personalities who are promoting it and their creative marketing techniques. It is interesting that those promoting this end of the age global revival visualize and allegorize it as a "Mighty River." In the last "Plumbline" [newsletter] I asked the question if the "River Boat Captains" knew the direction the current river is flowing. Now I would like to ask further questions. Do the gleeful riverboat passengers know where "the River" originated? Do they know that this river has been flowing for many years? Do they know the original channel that still determines where the River will eventually flow? We all know that the source and the course of a river determines its direction no mater how many tributaries may enter into it along the way. So it is with what is currently called the "River of' Revival." Provided people think logically, the underlying core paradigm will eventually play out according to the original vision much like the rules of chess determine what is a valid move and what is not. G. Raymond Carlson was right. This much publicized new paradigm can be traced to the Latter Rain movement of 40's and early 50"s.
Even though the Latter Rain of the 50's faltered and fell into disrepute with the tragic death of William Branham and the repudiation by the Assemblies of God it was kept alive by certain survivors and reintroduced in a veiled manner into the Charismatic Renewal of the 60's and 70's. Few people have realized just how influential the Latter Rain movement was and how effectively Latter Rain concepts were introduced into the Charismatic Renewal. Ern Baxter who was instrumental in the Shepherding Movement, worked with William Branham during the 50's Latter Rain. George Warnock, who wrote the only systematic teaching from the Latter Rain (The Feast of Tabernacles), was Ern Baxter's personal secretary. Holiness enthusiasts of the late nineteenth century searched the scriptures for reference to the revival they were experiencing. One popular scripture was Matt. 24:14, "And this gospel shall be preached in all the world and then the end come." Holiness teaching served as a prelude to missions and missions a prelude to the second coming. They identified their holiness experience as the Baptism of the Holy Spirit and the enablement to take the gospel to every nation and then Jesus could return. Holiness preachers searched the scriptures for this worldwide revival and interestingly enough the best they could find was a teaching they called the "Latter Rain." This Latter Rain allegory was pieced together from scripture references of the early and latter rains of the Palestinian growing season. (Deut. 11:10-21 and James 5:7-8). These Palestinian rainfall patterns metaphorically became a sort of lens though which to view all of church history. The outpouring of the Spirit at Pentecost was seen as the early rain in which the church was planted and the end of age revival was the latter rain, a divine preparation of a last days harvest and the signal of the soon return of Jesus. Wesley Myland (1858-1943) who began his career as a holiness preacher was the first to put in writing the Latter Rain scheme which he titled "The Latter Rain Covenant." He is also credited with writing the first Pentecostal hymn "The Latter Rain." The Dictionary of Pentecostal and Charismatic Movements also refer to his book, "The Latter Rain Covenant" as the first definitive Pentecostal theology. The early Pentecostal pioneers initially accepted this Latter Rain motif. Spirit Baptism was an end time repeat of the first Pentecost. Tongues was seen as an eschatological sign signifying that a second and final Pentecost was taking place, bringing the church into a new and final dispensation. This second Pentecost would bring a final world revival in which the nations would have one last opportunity to hear the gospel and then the end would come. Tongues were at first perceived as actual missionary languages to enable the Gospel to be quickly preached throughout the whole earth. Indeed many at that time went to China assuming they had been given a Chinese tongue to announce the gospel. Most returned disillusioned. The term "Latter Rain" was used freely by the early Pentecostal pioneers as well as the term "apostolic." The early Pentecostals were convinced that not only would there be a Latter Rain global revival but the last days church would be restored to the apostolic pattern. Joined to the Latter Rain teaching was a complementary truth called restoration. The basic principle of restoration teaching is that there is a fundamental discontinuity, historical and spiritual, between the church today and the New Testament church. In the restoration agenda, God will end the church as He began it. Events, however, caused the early Pentecostals to dispense with restorationism and the Latter Rain motif. In 1914 and later the founding fathers of the AOG turned their back on Latter Rain Apostolic Restoration thinking and espoused the current premillennial eschatology. The Latter Rain motif then sat more or less dormant for decades until 1948. In Canada the Latter Rain paradigm erupted again. Impartation of spiritual gifts by the laying on hands was instituted as well as traveling prophets giving personal prophesy. To Latter Rain teachers it seemed obvious that if there was to be a repeated apostolic Pentecost that Apostles and Prophets must be restored as well. These teachers then devised a historical scheme of restoration. Church history was understood as a succession of recoveries of lost or neglected truths. Luther recovered justification by faith, Baptists believers baptism, Wesley holiness, A.B. Simpson healing and the early Pentecostal pioneers the gifts of the Spirit. The recovery process was now extended further. The endtime body of Christ must go on to maturity and restore the apostles and prophets and these restored ministries must lead the church to a new and final dimension of power and authority not only bringing in the final harvest but establishing the Kingdom of God upon the earth. Now we are introduced to another major feature of the current move namely Kingdom Now Dominionism. Previously Latter Rain teachers saw a second and repeated Pentecost as a final harvest of souls before Christ could come back. Now there is a major addition to the LatterRain/Restoration concept. The restored apostles and prophets will lead a new and reconstituted body of Christ in conquering the kingdoms of this world and establishing the Kingdom of God upon the earth. The church isn't going sit and take it any more. The Church isn't going to wait to be helecoptered out of the world in some rapture rescue plan. The Church will stay right here and by its spiritual authority even defeat the principalities and powers in the heavenlies, dragging them to earth and putting them under their heel. Paul Cain, a survivor of the Latter Rain (1950) is currently marketing a vision of an elite company of overcoming spiritual warriors called "Joel's army." 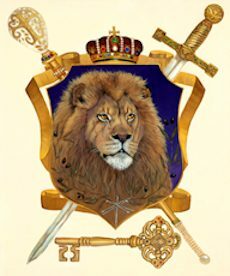 This end-time spiritual seals unit will be an invincible band who lead the church in dominion on the earth. A purging of the wider church of those who will not follow the new order is necessary to constitute a unified global church. Teachers of the new order tell us that all this has been prophesied. This is an end-time fulfillment of the Feast of Tabernacles. These teachers assert that Passover found fulfillment in the sacrifice of Christ on the cross. The Feast of Pentecost was fulfilled in the outpouring of Spirit, and now the only remaining feast is that of Tabernacles to be fulfilled in the last days church. It is a second Pentecost with restored apostles and prophets. This endtime spiritual army will put all God's enemies under its feet, yes even the last enemy death itself. This introduces us to another added teaching of the Latter Rain (1950). The body of Christ coming to spiritual maturity will be able to defeat death itself. This teaching became known as the "Manifest Sons of God." Taking childish cues from Paul's teaching in Romans eight and misunderstanding them, they suggested that a company of overcoming believers "the sons of God" will be manifested upon the earth with never dying spiritual bodies before the return of Christ. This would have to be the ultimate in dominion teaching. Obviously the church has not yet matured to the place of defeating death. Bishop Paulk counsels Christians not to accept death unless they get a specific revelation from God otherwise. There is a companion truth that often accompanies the Manifested Sons teaching namely the birthing by the church of a corporate Christ. This corporate Christ is said to be a fusing together of the spiritual Christ within His many membered body upon the earth. The end-time glorious church is supposed to give birth to this corporate Christ. Though it is not always stated this view assumes and some teach (not all) that the literal physical resurrected Jesus will not need to return as such. Rather His second coming will happen when He is spiritually incarnated into his church which will then be able to conquer death itself. This teaching has been expressed in various ways. We must oppose this view. Jesus has not become the Holy Spirit. It is rather the Holy Spirit who indwells the believer. The Resurrected Jesus is at the Father's right hand and in His glorified resurrected body He will return bodily to the earth. Obviously an indwelling spirit would not need to return from heaven. It is on this basis that some Dominion teachers assert that Jesus can be an on-going incarnation of God in His body (church) upon the earth. Consequently scriptures pertaining to Christ's ruling on earth are often seen as referring the Church rather than Jesus. The Church is viewed as a kind of virgin Mary who must give birth to Jesus the indwelling spirit. Latter-Rain teachers have long used Rev. 12, teaching that the woman in this passage is the church and the "Manchild" to be birthed is a spiritual second coming of Christ into His corporate body. When Latter Rain Prophet Paul Cain describes, in passing, the church as the "Manchild Company" he has this teaching in mind. This teaching of a spiritual second coming of Jesus into His body is rarely advertised. Rather the more palatable teaching of a final global revival and restored apostles prophets is the public teaching most emphasized. How can the present Charismatic/Pentencost Church even entertain elements of this teaching that originated from such a small group that operated on the fringes of the Pentecostal movement in the early 50's? When the Charismatic Renewal exploded in the 60's and 70's certain Latter Rain holdovers found a new and undiscriminating audience. Charismatics had never heard of the Latter Rain and received the new teaching as part of their new wine experience. Consequently Latter-Rain/Restorationism received a greater hearing within the Charismatic renewal than it ever did in the Classic Pentecostal tradition. Through the Charismatic Renewal Latter Rain teachings were renamed and finally homogenized sufficiently so that today Latter Rain ideas float freely on "the River" without anyone detecting their true identity. Furthermore the Charismatic Renewal has been mainstreamed into wider evangelical circles through John Wimber and Vineyard conferences, signs and wonders teachings, etc. Indeed some of the more extreme parts of the paradigm are not put out front, nevertheless, little by little the wider church is coalescing around what, when thoroughly analyzed, are Latter Rain core beliefs. Without unwarranted employment of the Latter Rain allegory there is not even a hint in scripture of an end-time global revival and second Pentecost. Not everyone in the River uniformly accepts all the parts of the paradigm. But as time goes by more and more Latter Rain tenants exert a gravitational pull that draws participants to logically espouse more and more of the paradigm. When Peter Wagner calls for and attempts to network a world wide apostolic reformation does he espouse the whole of the Latter Rain/Restoration paradigm? I don't really know. In fact I doubt that he does. I do know, however, that by bringing Bishop Bill Hamon to speak at his conferences he is bringing the whole paradigm mentioned above. There must be at least an openness on Wagner's part and many others because they without qualification recommend Bill Hamon's books with its full blown Latter Rain and Manifested Sons teaching. Wagner's "New Apostolic Reformation" is nothing more than warmed-over Latter Rain teaching. G. Raymond Carlson from his vantage point of history knew that all this has its source in a second end-time Pentecost, first articulated at the turn of the century and restated and expanded in the New Order of the Latter Rain 1950 and now imported and marketed into the wider church by means of the Charismatic renewal. When much is made of a sweeping revival that will overflow the earth in the last days with billions of converts you should be aware that this popular idea comes not from scripture but from a view of church history that has been running now for over a century. Take away the fraudulent allegorical use of "Latter Rain" scheme and there remains no other biblical support for this elaborate view of the end-times. The Scripture leaves no doubt that Jesus will return bodily to earth and when He does His "body" upon the earth (the full compliment of his church) will be raptured up to meet Him in the air (I Thess. 4:17). It is then and only then that He will change our corruptible bodies in a twinkling of an eye. It is then that Jesus will rule earth in His glorified and resurrected body. It is then that the Sons of God will be manifest. Rather than sensationalizing a false and unbiblical agenda, the church must occupy until He comes and His body is completed. Faithfully this Gospel must be preached to every nation and then the end will come. Even so come quickly Lord Jesus. 1. C. Peter Wagner, The New Apostolic Churches (Ventura CA; Regal, 1998). p. 18. 2. Donald E. Miller, New Paradigm Churches in the Twentieth Century (Pasadena CA: Ministry Advantage , Vol. 6, No. 4, July/Aug 1996. 6. Earl Paulk, The Ultimate Kingdom (Atlanta: K Dimension Publishers, 1986, p.121. 7. Earl Paulk, The Wounded Body of Christ(Atlanta: K Dimension Publishers, p. 43. 10. Earl Paulk, Thrust In The Sickle And Reap (Atlanta: K Dimension Publishers, 1986, p. 132. 11. Fancis Frangipane, In The Presence Of God, New Wine Press 1994, pp. 153-157. 12. Marc Dupont, Mantle of Praise, Alpha Magazine, 1994.